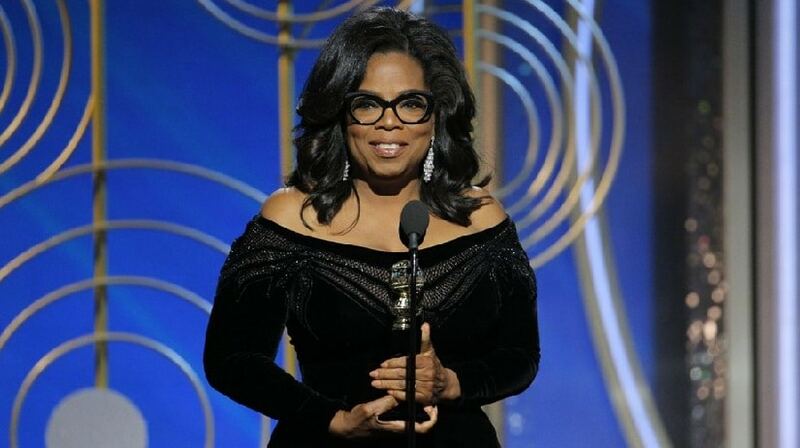 California: Oprah Winfrey was honoured with the Cecil B. DeMille Award at the Golden Globe Awards 2018 that took place on 7 January in Beverly Hills, California. The sexual harassment scandal that rocked Hollywood was the central focus during the show, with Seth Meyers hosting the awards night and taking the bull by its horns in his opening monologue itself. Celebrities — men and women alike — turned up wearing black as they demonstrated their solidarity and united stance against sexual harassment — in Hollywood, everywhere else in the world, and in every sphere. Disgraced movie mogul Harvey Weinstein and actor Kevin Spacey were called out by various people as they poked jibes and talked about their gross misdemeanour at length. Oprah Winfrey during her Golden Globe Awards 2018 speech. 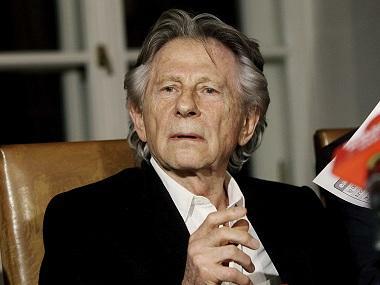 Image from Twitter/@THR. In 1982, Sidney received the Cecil B. DeMille Award right here at the Golden Globes, and it is not lost on me that at this moment, there are some little girls watching as I become the first black woman to be given this same award. It is an honor — it is an honor and it is a privilege to share the evening with all of them and also with the incredible men and women who inspire me, who challenge me, who sustain me, and made my journey to this stage possible. Dennis Swanson, who took a chance on me for AM Chicago. Quincy Jones, who saw me on that show and said to Steven Spielberg, “Yes, she is Sofia in The Color Purple.” Gayle, who has been the definition of what a friend is. And Stedman, who has been my rock. Just a few to name. They’re the women whose names we’ll never know. They are domestic workers and farm workers. They are working in factories, and they work in restaurants, and they’re in academia and engineering and medicine and science. They’re part of the word of tech and politics and business. They are athletes in the Olympics, and they are soldiers in the military. And there’s someone else: Recy Taylor, a name I know and I think you should know too. In 1944, Recy Taylor was a young wife and a mother. She was just walking home from the church service she’d attended in Abbeville, Alabama, when she was abducted by six armed white men, raped, and left blindfolded by the side of the road coming home from church. They threatened to kill her if she ever told anyone, but her story was reported to the NAACP, where a young worker by the name of Rosa Parks became the lead investigator on her case. And together they sought justice. But justice wasn’t an option in the era of Jim Crow. The men who tried to destroy her were never persecuted. Recy Taylor died 10 days ago, just shy of her 98th birthday. She lived as we all have lived, too many years in a culture broken by brutally powerful men. For too long, women have not been heard or believed if they dared to speak their truth to the power of those men, but their time is up. And when that new day finally dawns, it will be because of a lot of magnificent women, many of whom are right here in this room tonight, and some pretty phenomenal men fighting hard to make sure that they become the leaders who take us to the time when nobody ever has to say, “Me too” again. Thank you."